For commercial use, access control systems can become an important part of your overall security plan. 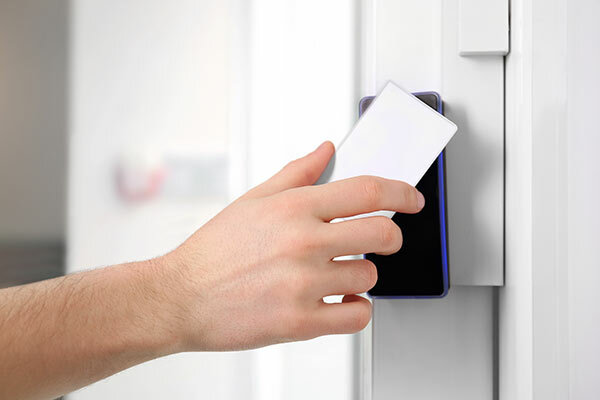 These systems regulate access to valuable inventory and corporate records with electronic locking systems that are released by magnetic cards or special code numbers. Dehart's access control systems allow you to keep areas secured in a more efficient manner with an audit trail to monitor who is coming and going. With commercial losses due to employee theft growing annually, these easily expandable systems can readily adapt to the changing needs of your business and provide peace of mind in uncertain times.